Minuses: Parking is tough, except at the non-central municipal lot. But if you’re just quickly passing through Makawao, you’ll be more likely to see an out-of-shape-too-much-Krispy-Kreeme-eatin’-cubicle-cowboy careening recklessly downhill on his rented blue mountain bike, than a grisly old Paniolo capably in control of his steed. 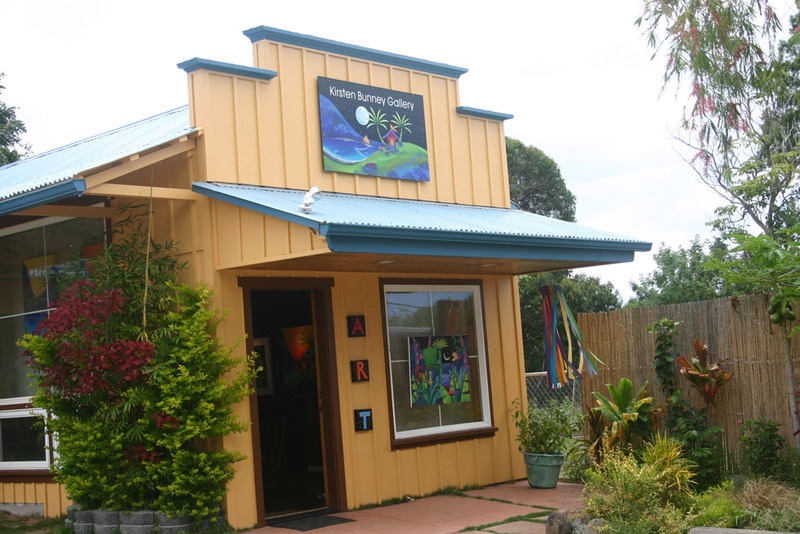 But, that my friend, is part of Makawao’s charm: like much of Upcountry Maui, Makawao has an impossibly eclectic mix of souls painted across a beautifully diverse canvas. An amazing sight in Makawao: an open parking spot! 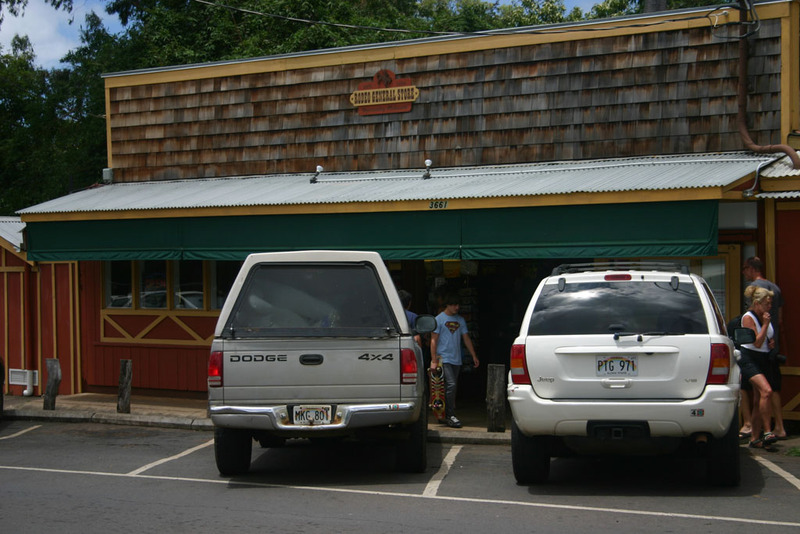 Tip: Park in the (free) public lot on Makawao Ave. 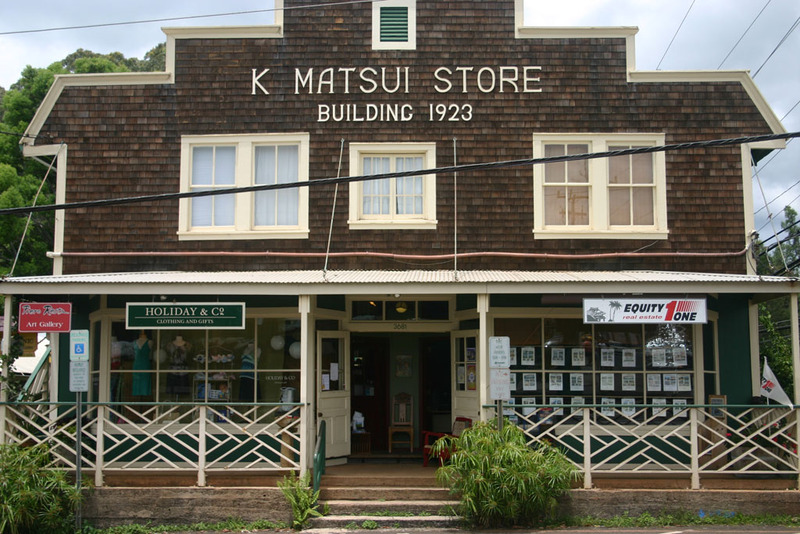 The center of Makawao is the crossroads of upcountry Maui. The main intersection has four directions, and each direction’s road has it’s own name. Uphill – which is about as accurately “South heading” as you’re gonna get on these roads, is Olinda Rd., and heads up in elevation to the stunningly beautiful cloud-forested rural areas of Olinda. Head East(ish) and you’re on Kaupakalua Rd., which winds aimlessly through the seemingly endless miles of pastures, farms and gentleman’s estates of Haiku (and points further East.) Westerly is Makawao Ave. which heads straight through Maui’s loose approximation of suburbia: residential Makawao toward Pukalani. North (after a fashion) heads down Baldwin Avenue, past pineapple fields, a cemetery, four churches, and a couple schools. Baldwin Ave. ends at Pa’ia Town. Back at the crossroads, you have a little of everything within a short stroll: a small market, an Italian restaurant, an art gallery, an herb shop, a real estate office, a Mexican restaurant, a hypnotheripist, a 100+ year-old small family bakery, (and a lot more than just that.) Whew! Speaking of the bakery, it deserves it’s own paragraph: T. Komoda Store & Bakery is legendary. Not just here, throughout Hawaii and beyond. But you need to get here early to get the goods – they frequently sell out well before 10am, and are known to close the store early (leaving the place shuttered in such a way that metropolitan types unaccustomed to the ways of the country can be heard audibly concluding “Oh, they must have closed down.”) Komoda Store is most famous for their donut on a stick, butter rolls, cream puffs, anpan, and malasadas. (yeah, they’re famous for a lot!) But, besides that, just about everything they make is close to perfection. 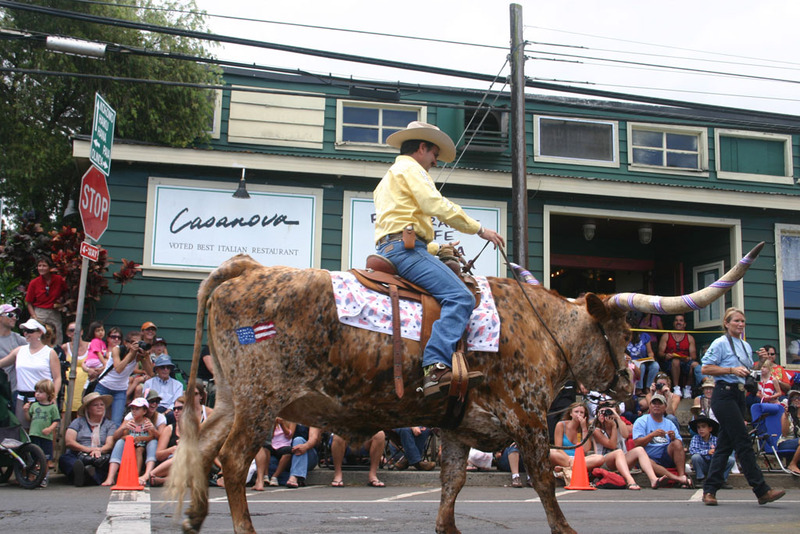 If you happen to be here on the 4th of July, there is a small annual parade that passes though Makawao, with showy Paniolo crews, fancy restored cars, and just about a little bit of everything. (I’m pretty sure it is open to anyone to participate.) In fact, you never know what you’ll see – one year I saw part-time Maui resident Willie Nelson riding a Harley alongside some bikers, followed by a tripped-out old-time hippie dude dressed as a rainbow butterfly and riding on rolerskates, and just ahead of the Governor waiving from her super deluxe fancy-schmancy governor’s float! That’s Makawao for you – a little bit of everything, and a whole lot of soul. So, if you do any serious exploring about the island, (including downhill bike tours), you’ll probably wind up crossing through Makawao Town without even trying. But, just in case – you should plan a trip though at least once. Facilities: Public parking lot, general store, restaurants, stores, post office, library. Maui’s public transportation is very limited. Bus schedule. Anywhere you want to go of distance you will have to transfer and it will take a long time. Renting a car is really something I tell every visitor who wants to get around to do, if you’re an adventurer on a tight budget, camp a couple nights to pay for the car, you really will be glad you did!